If you travel from Zagreb to Zadar, which is a very popular route, it is important to know that there is 285 km between them. Although it is one of the most popular lines, consider that on average nine buses run daily from Zagreb to Zadar. Even though you should keep this information in mind while buying your bus ticket, there is no need to worry. Speaking in general, from the Croatian metropolis, Zagreb, it will take an average of 3 hours and 30 minutes to reach the point destination, Zadar, depending on the condition on the road. Furthermore, departing from Zagreb to Zadar is mostly arranged from 11:30 to 19:30 when the last bus is leaving for Zadar. Let us highlight departures at 12:00, 14:30 and 18:00. Then two buses leave at the same time, so if you want to avoid full buses, we suggest that you buy your tickets for one of those rides. The Puntamika-line is among many carriers who drive on Zagreb - Zadar route. Find the full carrier list below. The choice of the carrier is all yours. You will be the fastest to reach the point destination with Autotrans whose bus is the last during the day who take off for Zadar. It takes 3 hours to reach Zadar, which is as fast as possible. On the other hand, the longest journey is with the Croatia Bus carrier, which departs from Zagreb to Zadar at 19:00 and getting there at 22:45. So by choosing that bus it will take you 45 minutes longer. Ticket prices varies depending on the selected carrier. The cheapest price for a one-way ride is 54.99 kunas/7.43 EUR, while the highest is 109.99 kunas/15 EUR. Do not forget discounts for children, students, and retirees. In case you need more information contact the information counter, or the carrier directly. It is the right thing to do if you are interested in any new action, offer, purchase of a return ticket and discounts. In Zagreb, the bus station is located close to the center, or in other words at the crossing of the Marin Drzic and Slavonska roads, which is within easy reach of every traveler. Therefore, if you arrive at the station, we suggest that you spend some of your time walking through a center, which is, by using a tram, only 6 to 7 minutes away from the bus station. So use that transport. If you would like to stay close to the bus station, head to the beautiful park behind the nearby market called Branimirova trznica. Around the station you will find: two kiosks, several bakeries, ATMs, fast food, a café, a parking lot and both: a post and an exchange office. Plus, if you need a toilet bus station in Zagreb have one. For free? No. To use it you will have to pay 3 HRK/0.41 EUR. If you plan to stay longer, get rid of your luggage in the wardrobe and enjoy the capital. The center is definitely a part of the city that offers the quantity of content. Use it in the best possible way. Zagreb is 285 km away from Zadar. Calculate that the journey will take about 3 and a half hours. Of course, it can take much longer. This is not a rare occasion if you travel during the summer months, or in other words in the period before Christmas when the traffic is more crowded. Take a ride through the beautiful green landscapes that lie down in front of you. On the way, the bus will usually stop only once. Using a pause that lasts an average of 15 minutes, you'll have plenty of time to stretch your legs, drink some juice, eat a sandwich. For other useful tips on a travel plan, detailed timetable and similar, please contact your chosen carrier. Zadar Bus Station is located at street Ante Starcevica 1, not far from the coast. If you have any doubts, it is good to know that the station works from 5:30 am to 10:00 pm and during this period you are able to contact the officer at the information desk. Where to go from the station? Whether you are hungry, thirsty, or just looking for a place to rest, know that anything you need you can get within or close to the bus station. Exactly across the street there is a store and a bank. Apart from that, down the street there are apartments, so if you do not have an arranged accommodation, we suggest you go there and ask, or simply take a quick walk and pay attention to potential accommodation along the way. Just for the note, if you are going to need a train soon, do not leave the bus station. These two stations are located very close to each other. On the Zagreb - Zadar routes, buses mainly have all the modern equipment. The latest standards are being respected not only in the Republic of Croatia but also internationally. This means they are equipped with an air conditioner, with no passengers being cold or hot. In addition, it is not uncommon for the buses to be equipped with a TV so the passengers can watch a movie. Above the seat you should find the loudspeaker and the light. Check it. The light would make it much easier for any traveler who travel by night, since the driver would often turn off the lights so that the rest of the passengers could feel comfortable while resting or sleeping. All of us are most interested in the WiFi signal to help us access the web. Generally speaking, a large number of buses offer this service. Even though you could now be calm to think that the problem of the internet was solved, we will have to disappoint you. The signal is often so poor that classic surfing and browsing the portal can make it a real challenge, so we suggest you to make sure you have your own internet access before you travel. Regardless, we conclude that the conditions for users are more than correct. Why you should travel from Zagreb to Zadar by bus? Due to the fact that the distance from Zagreb to Zadar is less than 300 km, and that the time and the distance are certainly factors who are in favor of the bus. Furthermore, pretty new buses and modern equipment, safety, quality of traffic and good ticket prices are definitely the reasons why you should not depart from this choice. In case you are not sure about the selection, see the comparison of the bus with other potential ways of transport for the same line. First of all, car. For 285 km you will spend about 220 kunas/30 EUR for fuel. Additionally, you will need to add an extra 120 HRK/16.5 EUR for the toll. For comparison, let's remember that the most expensive one-way bus ticket is 109.99 HRK/15 EUR. So even if you buy the most expensive bus ticket, you will still have an opportunity to drink a coffee to cover only toll cost for the personal car. Both options mean waiving something. If you are considering using a rail, or better to say a train, consider again. Namely, the train station on daily basis from Zagreb to Zadar sends only 3 trains, at: 7:35, 15:21, 23:05. For the first two, the price of the ticket is 202 HRK/27.5 EUR, for the last one it is 197 HRK/26.5 EUR. This is a much higher price than the amount of a bus ticket. Additionally, although there are no express solutions to get from the one point to another, do not forget the fact that the train is operating significantly slower. The earliest train takes a total of 11:58 h, the next even 16:03 h, while the last one is somewhat faster. You will arrive in Zadar for 8:29 h.
In relation to the plane, the air distance between two cities is 197.45 km. Although faster, it certainly exceeds the cost of a bus drive. In addition, following your chosen arrival at the airport you will need to provide yourself some transportation from the airport to the city, which requires additional costs. It is because Zadar - Zemunik airport is 12 km away from the center of Zadar. On its way from Zagreb to Zadar the bus will pass by many towns and places. By departure some of the first cities you will pass during the bus drive, are, for example, Rijeka and Karlovac. Those cities are the crossroads of many traffic routes. Despite this, Karlovac is also known as the "city on four rivers": Korana, Kupa, Mreznica and Dobra. The residents of Karlovac and its surroundings used this advantage well. Namely, they have come up with a great way to use the potential of these rivers. During the summer months they swim and simply enjoy water sports. Then there is a passage through Delnice, or better to say through Gorski Kotar and Lika - areas known for its green landscape. As you move, you get closer to seeing the sea. 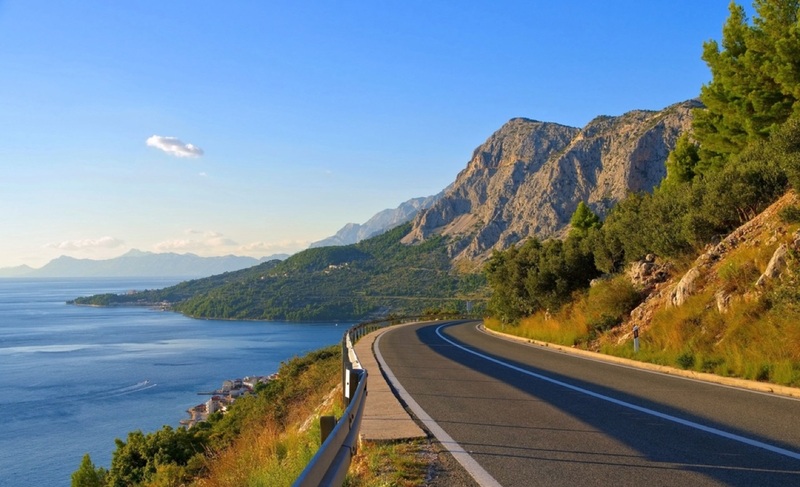 Finally, when you are approaching Zadar, Velebit is behind you and you will pass through the area of ​​Maslenica. Sounds familiar? Yes, that is the place everyone knows because of the powerful wind that often cause traffic problems. Contrary to that negativity, the adventurers of Maslenica are particularly fond of providing the opportunity to enjoy bungie jumping. Zagreb is not only the political and administrative but also the cultural, scientific and economic center of the Republic of Croatia. The city center offers something for everyone, and sight guides are not essential. You are free to visit Zagreb's cultural treasure and go for a tour of the museum. 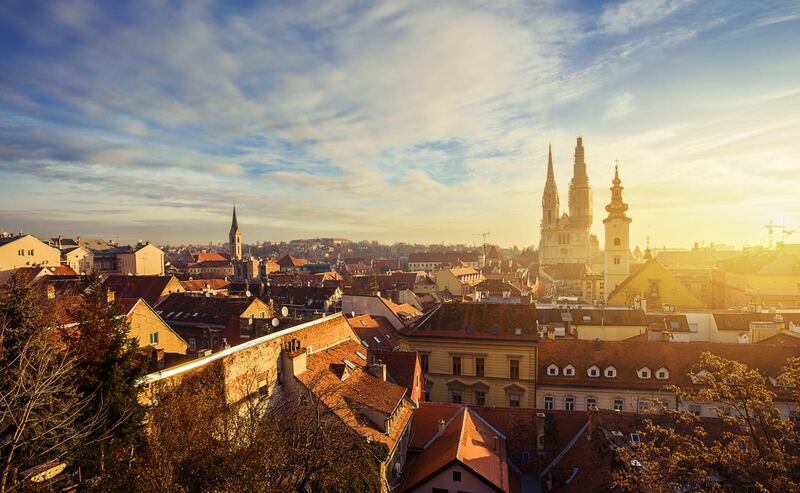 Consequently, we suggest not to miss the following sights: Upper Town and Church of St. Marko, Lower Town and Trg bana Josipa Jelacica and the Zagreb cathedral. If you feel the need to escape in nature, we suggest you to choose the park Ribnjak. Although located in the center itself, it has been sufficiently withdrawn to offer you a time off in which you will be able to deal with your own thoughts. Finally, if you need to stay for a longer period of time, our recommendation is to rent an apartment/room. By contrast, if you stay just for a day, you can choose from a huge number of hotels or hostels. Excursion from Zagreb to Plitvice Lakes and sightseeing of the waterfalls and the beauty of nature is undoubtedly a good decision, but it depends largely on the time you have at your disposal. 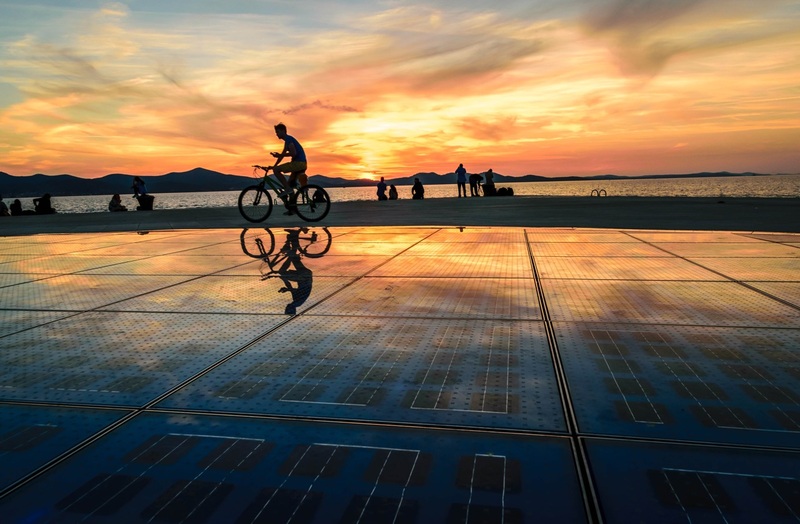 Zadar is a town and port located on the Adriatic Sea, and is the center of the Zadar County. In addition, it is home to about 71,500 inhabitants. In case you are wondering what is interesting there to see, here is our suggestion. The Sea Organ, Greetings to the Sun, the Arsenal, the Forum, the National Square and the Five Wells Square are just a small part of what this city offers to its visitors. There is also an unavoidable walk along Kalelarga, which is the main Zadar street from the distant past, and Riva, which offers tourists an undisturbed view of the beautiful blue sea. In case you are looking for a place for a good night out, Zadar offers a lot of options. For example: The Garden, Maraschino Bar, Cult, Vinyl Bar, Face Bar and many others. This historic pearl of the Adriatic Sea undoubtedly provides an enviable level of cultural rise on the one hand, as well as the postponement of boredom and undisturbed entertainment on the other. If you choose to go further, Dalmatia offers a number of other popular tourist destinations. 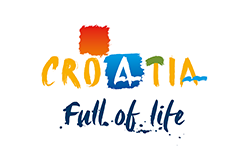 You can choose one of the following: Opatija, Rovinj, Pula, Umag, Sibenik, Trogir, Split, Makarska and Dubrovnik. Those guaranteed are equally fascinating to both - children and adults. Furthermore, Split is particularly interesting since it is the largest city in Dalmatia and the second largest in Croatia. Contact the Zadar-Tours and other carriers in the city for more detailed information regarding the bus trip and also read the information available on the Internet. Croatia on its entire territory for the fans of travel offers truly a large number of cities and places that are just waiting to be discovered. Slavonia, for example, has the following centers: Pozega, Vinkovci, Sisak, Slavonski Brod and Osijek, Zagorje Varazdin etc. Besides, not too many European destinations are too far. Take for example: Sarajevo, Belgrade, Ljubljana, Venice, Graz, Budapest, Vienna and Berlin.